In early May, ACYPL sent a seven-member delegation of political and policy leaders to Croatia and Hungary for a ten-day program that focused on national and local government structure. The delegation consisted of a state treasurer, a state senator from Wisconsin, a fiscal officer for the Illinois Secretary of State, and several government affairs specialists. 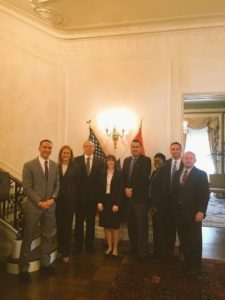 The group began their briefing day in Washington, DC with a visit to the Hungarian Embassy followed by meetings at the US Department of State and the Croatian Embassy. The group’s favorite meeting was with Deputy Chief of Mission, Dr. Zsolt Hetesy. He spoke about Hungarian history, economics, culture and the relationship between Hungary and the United States. The delegates walked away excited to learn more about the region and the people who live there. 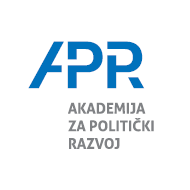 In Zagreb, the group was hosted by the Academy of Political Development. The schedule covered a variety of topics, including the national government and economic issues. The standout meeting was with US Ambassador to Croatia Julieta Valls Noyes who was joined by a group of foreign service officers posted in Zagreb. The delegation came out of this meeting with a deeper understanding of the history of US involvement in the region. The delegates were impressed with the high-level meetings they had in Hungary, arranged by CEC Government Relations. This year was the 22nd year of exchanges between ACYPL and CEC and, once again, the program was a major success. One of the highlights in Budapest was meeting and dining with Zsolt Németh, the deputy leader of the Fidesz-Hungarian Civic Union, who has service in political positions since before the fall of communism. Following additional meetings with the major political parties and various ministers, delegates were introduced to local government in the city of Eger. When not in meetings, the delegation enjoyed exploring the Museum of Broken Relationships in Zagreb and the House of Terror in Budapest. They also had an opportunity to bond over casual dinners and a trip to a Turkish bathhouse. Overall, the group felt that their eyes were opened to the intricacies and nuances of a part of the world that they knew little about. ACYPL’s partnership with organizations in Hungary and Croatia has been successful year after year due to the hard work and high-level political connections of both the Academy of Political Development and CEC Government relations.